17 November 2011: Happy 32nd SOT! On Thursday 17 November in Melbourne the School of Thinking celebrated its 32nd birthday with an informal gathering of some local friends of the school. On a perfect spring evening beside the Yarra River at The Boatbuilders Yard the Chairman of the Council of the School of Thinking, Dr Brian Monahan, welcomed members of the Council and their guests from Melbourne and Sydney. David Sharry, the creator and owner of The Boatbuilders Yard is also a long standing SOT Council Member. His legendary hospitality kicked off the evening with French champagne followed by the best of Australia’s wines and ales. After a little lateral drinking the thinkers were very pleased when the delicious prawn and chorizo skewers appeared on the scene along with all the many other tasty treats. Another legendary SOT birthday event. It was tastefully planned to go from 6 to 8 but a determined core group were still pontificating and laughing by the river at 11. La dolce vita! L to R: Anthony Bertini, Dean of the Graduate School, Dr Brian Monahan, The Hon Neil Brown QC, Dr Michael Hewitt-Gleeson. Background: Professor Michael Georgeff, Diana Georgeff and David Sharry. L to R: Polly Flanagan, Principal, Shelford Girls Grammar School; Maj Paul Cooke; Dr John Chambers; Ms Petrina Gillespie Mng Dir SOT; Dr Michael Hewitt-Gleeson. L to R: Anthony Bertini; Dr Carl Ramage; Dr Michael Hewitt-Gleeson; Newell Lock, SOT Council Member. 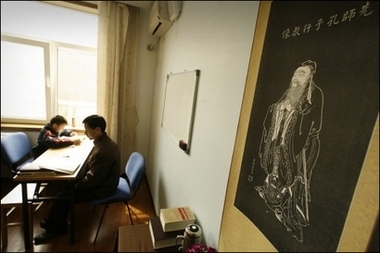 This ancient Chinese master started one of the world’s most successful schools of thinking and his memes have gone viral and spread around the world and infected even more people than Plato’s. We also develop and use advanced tools like the TRIIII matrix below in some of our workshop sessions with clients. Remembrance Day (11 November) marks the anniversary of the armistice which ended the First World War (1914—18). Each year Australians observe one minute silence at 11 am on 11 November, in memory of those who died or suffered in all wars and armed conflicts. HAMBURG, Germany–A Japanese supercomputer capable of performing more than 8 quadrillion calculations per second (petaflop/s) is the new number one system in the world. The system, called the K Computer, is at the RIKEN Advanced Institute for Computational Science (AICS) in Kobe. The 37th edition of the closely watched TOP500 list was released Monday, June 20, at the 2011 International Supercomputing Conference in Hamburg. The ranking of all systems is based on how fast they run Linpack, a benchmark application developed to solve a dense system of linear equations. For the first time, all of the top 10 systems achieved petaflop/s performance. The U.S. is tops in petaflop/s with five systems performing at that level; Japan and China have two each, and France has one. Bumped to second place after capturing No. 1 on the previous list is the Tianhe-1A supercomputer the National Supercomputing Center in Tianjin, China, with a performance at 2.6 petaflop/s. Also moving down a notch was Jaguar, a Cray supercomputer at the U.S. Department of Energy’s (DOE’s) Oak Ridge National Laboratory, at No. 3 with 1.75 petaflop/s.